And Heaven, and Heaven, and nature sing…. This season is meant to be a shining beacon of hope to a weary world spinning in darkness. Not only does Jesus represent God’s love in His very essence, He is infused with joy. You see, God not only loved everyone He created, He enjoys them! That includes you, and me! He takes sheer delight in you, and enjoys your company, because you’re you. And He loves you for it! Instead of His people holding back and speaking only through tradition, God broke through the barrier between us. He ripped the veil separating Heaven and earth, and entered the story as a living breathing physical man. Fully God wrapped in humanity. Because He wanted to get as close to you as He could, to make you sit up and notice Him, feel His love for you, know His joy at being near you. This beloved Christmas carol captures the majesty of God with us, the miracle of God one of us and the mind glowing joy we can have when we accept His gift, His Presence in and with us, always. Heaven and earth unite to sing of this wonder. He enjoys His people. For love’s sake, so much so He, our Creator, became one of His own creations to give us the fullness of that love right where we were, are at. The enemy may be whispering how terrible you were for yelling at your kids last night, or shaming you for something you didn’t do or forgot. Love is reminding you He is with you. Your bank account may look smaller than usual, the illness ahead seem insurmountable, your loved one gone on ahead being missed beyond words. Love is waiting to refill you with the hope and joy of the season. Its not dependant upon you or I to become a reality. Because of His love, we have God with us. It’s sign, sealed and delivered, this gift beyond time and space. And yours, forever. So regardless of what is happening about you, you can have joy. For Love came down at Christmas time not only to restore us to Him but for us to enjoy one another, as love tends to do when you draw near to the One you adore. Our Carol of truth, love and joy, forevermore! 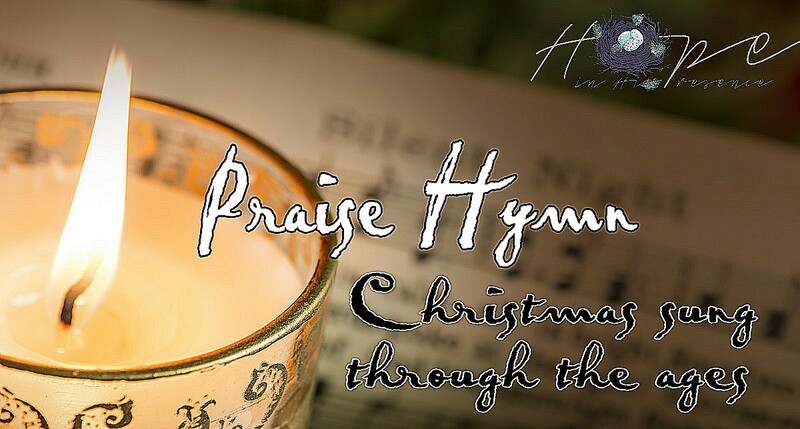 Joy to the World’s music and lyrics were written by Isaac Watts in 1719. It is amazing to me that this piece still sounds like it has just been written by every generation that sings it. I truly believe it is one of the songs we will forever sing when we move Home one day!